Many people want to know where they can find a queen ant. 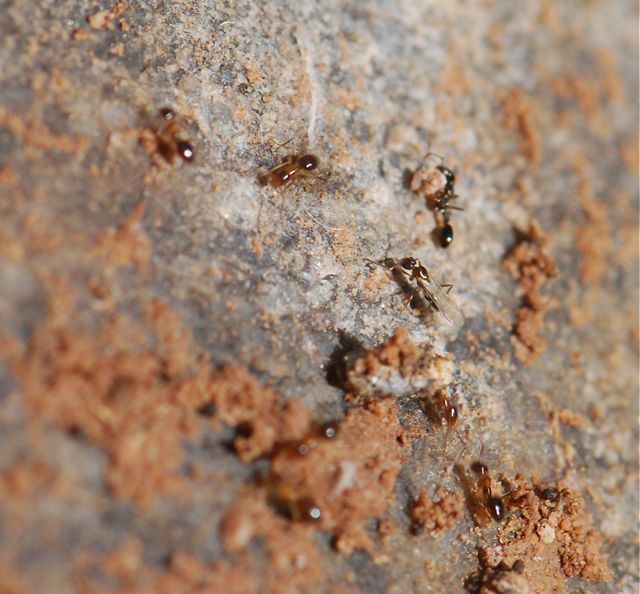 Here in Phoenix the ant nests are filled with alates (winged ants) ready to swarm in late July and August. In the day or so after a strong thundershower, called “monsoons” here, it is easy to find queens running across the ground looking for spots to nest. This week I found a great place to hunt – tennis courts. As the bright overhead lights came on in the evening after a big storm the night before, the queens ants themselves started to rain down. I collected queens of three different species in ten minutes. I wasn’t too interested in the rover ant queens, but noticed they were mating right there on the tennis court. It was amazing. Unfortunately my tennis buddies were not as thrilled as I was, so I didn’t get a chance to observe as much as I would have liked. You can guess where I’ll hanging out be next time it rains. Ever found queen ants attracted to the big lights at sporting events? I find a lot of queen ants floating in my water garden. I’ve also watched queen ants come down in ponds and streams, causing a feeding frenzy among the fish. It is a pretty easy mistake to make. I have a post that shows ant eggs versus pupae. And I wouldn’t worry about it, you know a lot more about photography. You have great macro shots. That is an interesting observation. I had heard that fisherman use ants as “flies” for trout fishing. I’ll have to keep my eye out for queens in water. Greetings from a Floridian ant keeper! What are the other 3 species you collected on the tennis court? I also find plenty of queens in the water. I have a good sized kiddie pool out in my backyard for my pet duck to swim in, and during the summer I’ve seen a good 2-3 dozen different species of alates drown in it. I typically find a few Dorymyrmex queens, plenty of Brachymyrmex, Techonomyrmex, Pheidole, Tetramorium, maybe a Crematogaster male or queen alate, and sometimes some Solenopsis or microscopic Monomorium queens. Sadly here in Florida it’s always raining during Summer, so I always have to keep my eyes peeled. It not easy catching the species you want! Florida sounds like a great place for ants, although lack of a well-defined rainy season probably does pose challenges. 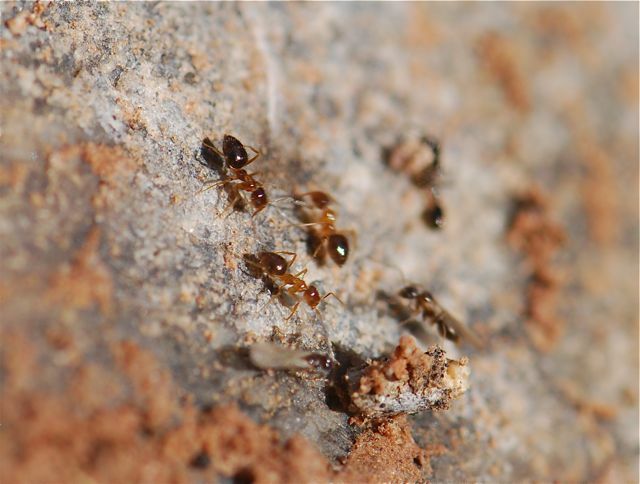 After the rover ants, most of the queens were Soleopsis species, including Solenopsis amblychila. Interestingly, here you don’t often see the golden yellow amblychila workers, only the darker xyloni. Obviously there are colonies around, since I keep finding queens. Do u know where to find queen ants in sg(Singapore)?